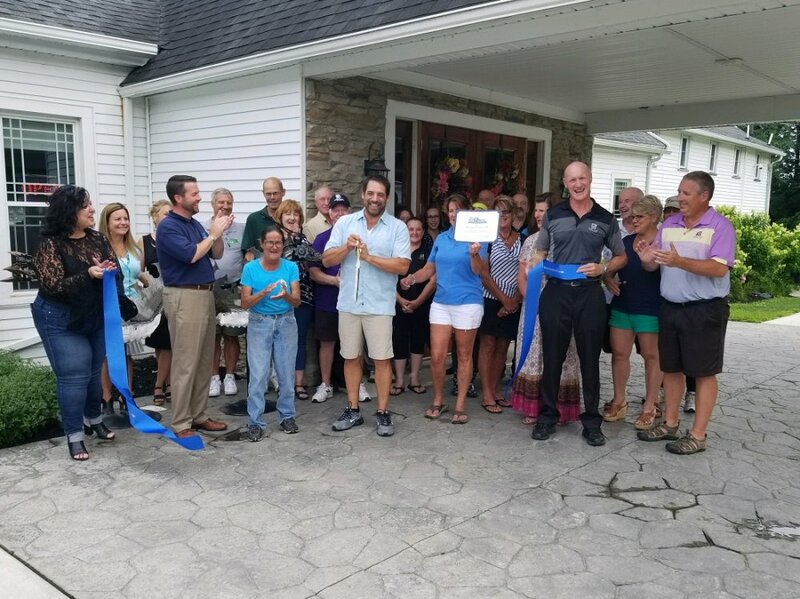 On Wednesday, July 25, 2018, the Wyoming County Chamber and Tourism office was pleased to host a ribbon cutting at The Club on Silver Lake to celebrate with new business owner Joe Rivellino, family, friends, staff and supporters. In June 2018, Joe Rivellino became the owner of the historic country club, The Club on Silver Lake, after purchasing the business from Rick and Cindy Fish. The duo have made plans for collaborating over the next few years, including the training of the new General Manager, Kent Breslin. The Club on Silver Lake is in full swing and one of WNY’s premier golf course, restaurant and wedding venues. The public 18-hole championship course hosts many area golf tournaments each year for various organizations and benefits. The restaurant offers a full service bar and is located on the shores of Silver Lake, and both indoor dining (when the weather turns cool) and outdoor dining on our multi-level deck. The Club on Silver Lake, located at 3820 Club Road in Perry, is a convenient destination for a day of golf, relaxing on the deck with a great meal or even taking advantage of their Townhouses with attractive Stay-N-Play packages. Weddings, banquets and other special events are also welcome simply by contacting The Club on Silver Lake at 585-969-4001 or at the website www.silverlakecountryclub.net.